Tickle My Tastebuds Tuesday #225 is LIVE featuring Healthy Foods. These past few weeks since the holidays, I’ve been eating like a fiend. I mean, crazy eating… you’d think I was eating for two, but trust me I’m not. I need to really kick it in gear. Last year I lost 25 lbs and I’m going to gain it back at this rate. So, features this week are healthy foods to get me back into good habits. I’m a horrible stress eater too which doesn’t make things easy. I haven’t been cooking much which is one reason why I haven’t posted many recipes. I need to get cracking on that too, right? Help me with my diet please!! Spam me with all your delicious healthy recipes that will get me back on plan without sacrificing taste or feeling like I’m missing out. 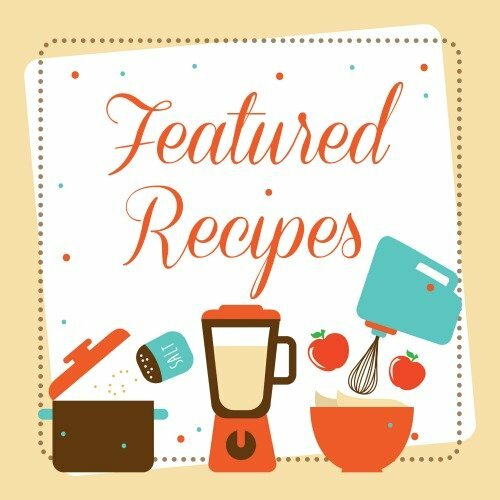 Here are some recipes to get eating healthy again! Hi Lori, thanks so much for featuring my Fluffy Healthy Pancakes recipe. My blog is all about healthy eating so I’m sure you can find something for you!